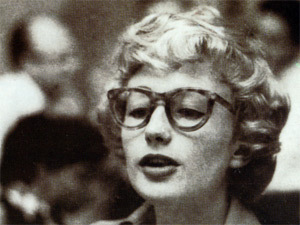 Blossom Dearie has died on Feb 7, after spending more than half a century on the jazz scene. Here's LA Times obituary for her and one of her last radio programmes on Piano Jazz with Marian McPartland. Another nugget of wisdom from icanhascheezburger. Once upon a time a certain peculiar resident of prussian Konigsberg suggested, in a rather obfuscated and long-winded manner, that while the existence of God is hard to prove, humans have an inherent natural intuition of God, that is, that the concept of God is unavoidable. I'm agnostic; but for me, the strongest argument for God has always been the existence of my own consciousness, self (which buddhists and some others will argue might not exist -- nobody will however argue with Kant that the inherent intuition of self is pretty self-evident). So New Scientist has an interesting article today on empirical exploration of how inherent the concept of God is in babies, and whether believing in God is a natural (and beneficial) evolutionary behaviour. 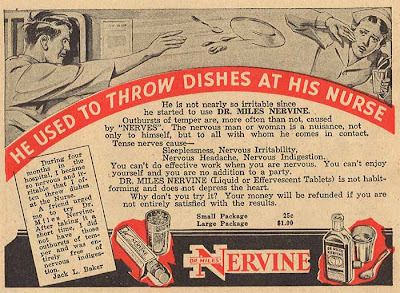 Well, let me tell you on that last point: if I had a choice between God and Prozac, I'd probably go with God. He is, after all, all-natural and doesn't have sexual side-effects. 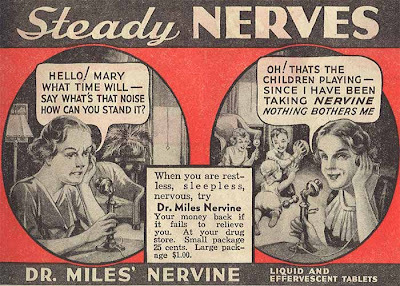 Don't we all need a little Nervine.